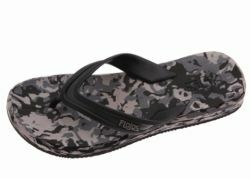 Leading sandal and thong brand Flojos will bring a dash of laid back Californian summer style to the Australian Shoe Fair when it hits the stands this month. Synonymous with the beach lifestyle, Flojos comprises fashion footwear for women, men and children. The brand was founded in the US in 1979 with the introduction of the original Flojos, a popular rubber criss-cross sandal borrowed from a traditional Mexican style, which has made a comeback in recent times. Meanwhile the Flojo children’s line includes sandals for girls and boys, with styles that emulate the women’s and men’s lines. Flojos will be on show at the Australian Shoe Fair, 14-16 February at Sydney Exhibition Centre.